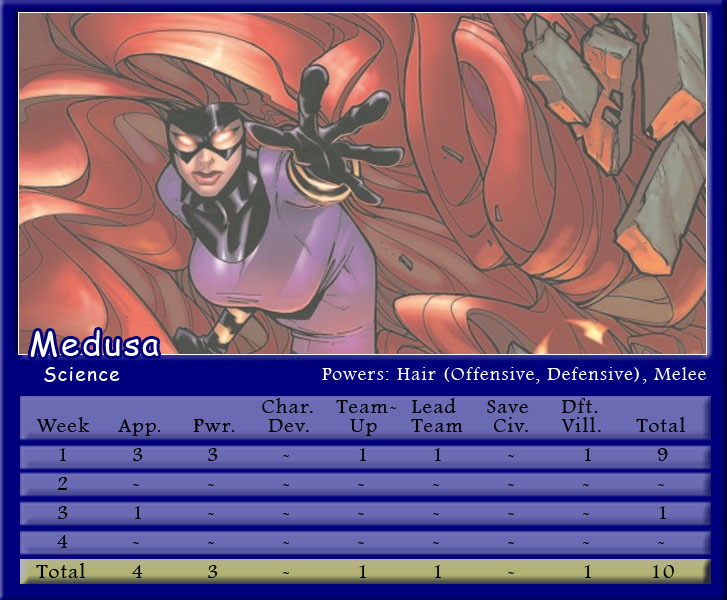 Before Secret Wars tore apart the Marvel Universe, Medusa made her debut in the Fantasy Comic League. 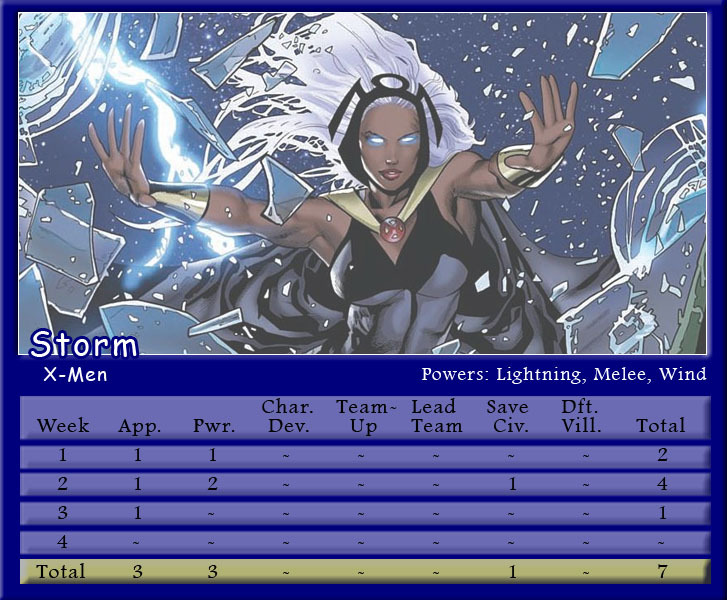 The Inhuman Queen, her hair and her 10 points carried Brian to victory in the League Championship. 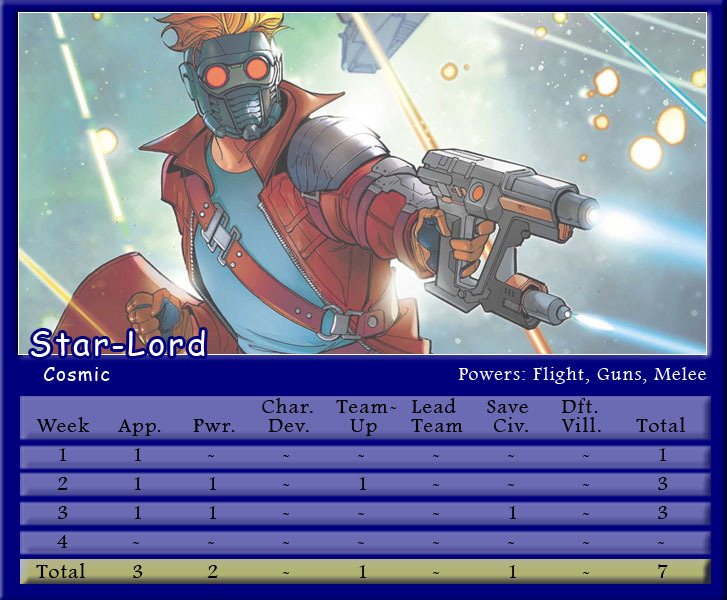 Black Widow switched to the winning team, and Storm and Star-Lord continued to provide solid depth for Brian. 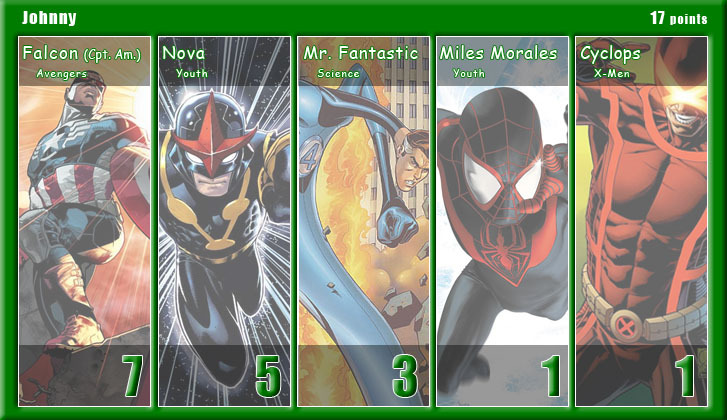 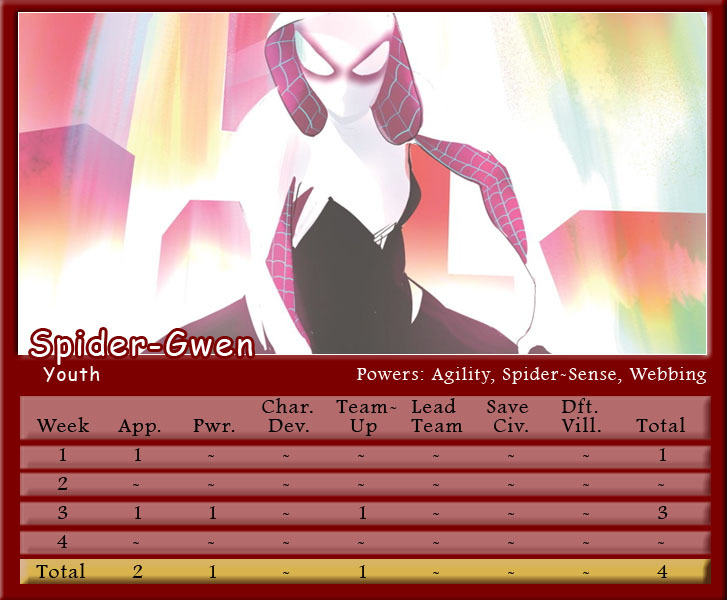 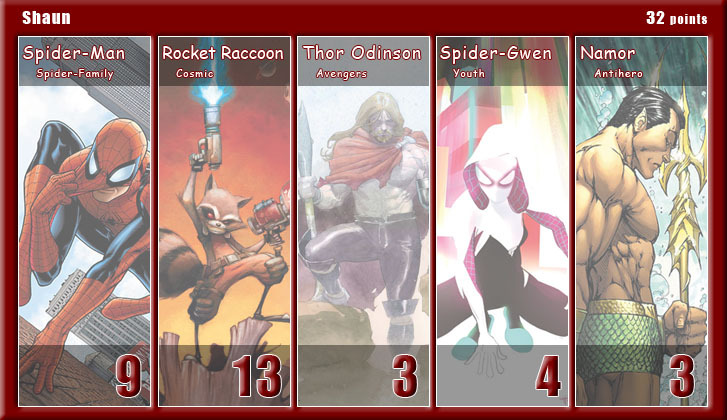 Rocket Raccoon scored the most points for the month, while Spider-Gwen did not do as much for Shaun as he had hoped. 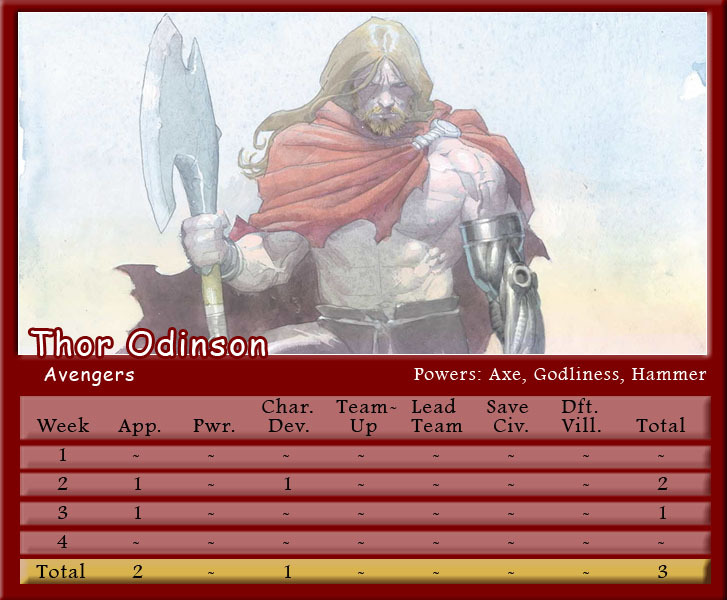 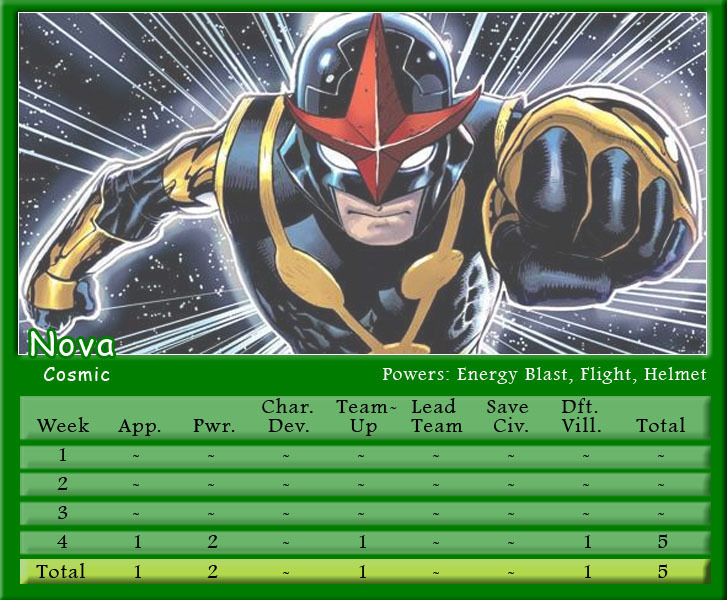 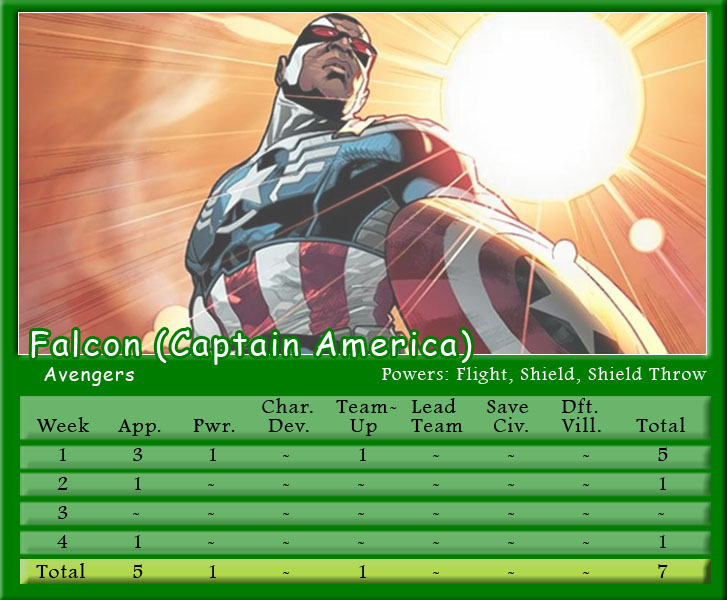 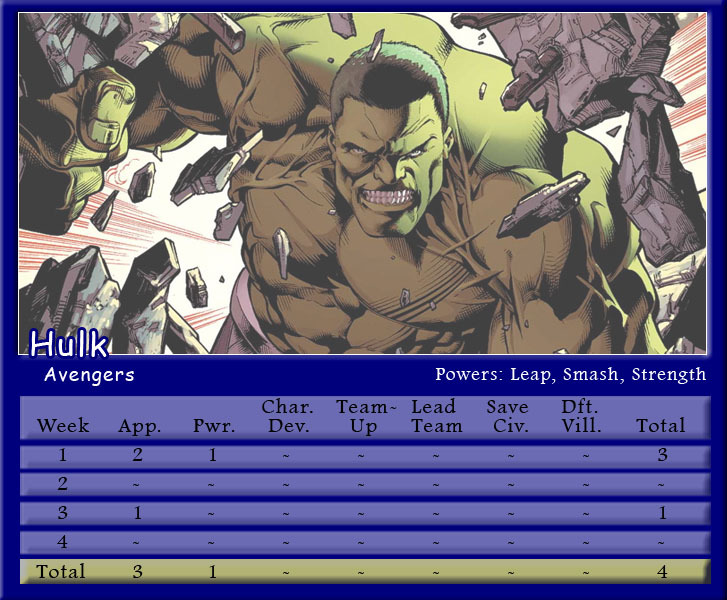 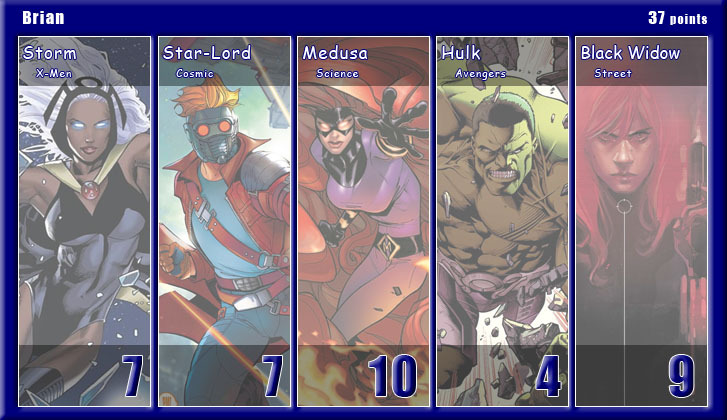 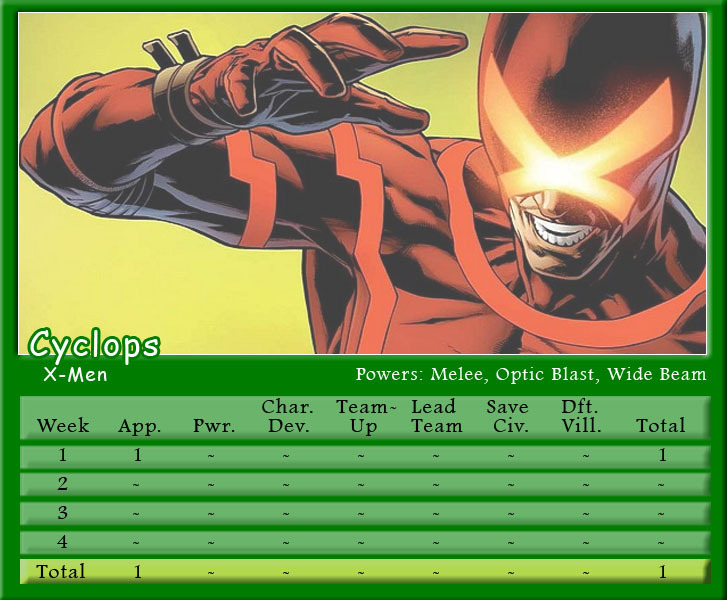 Johnny finished the season with only two points in the overall scoring system, but Falcon finally received his new Captain America outfit on his stat card. 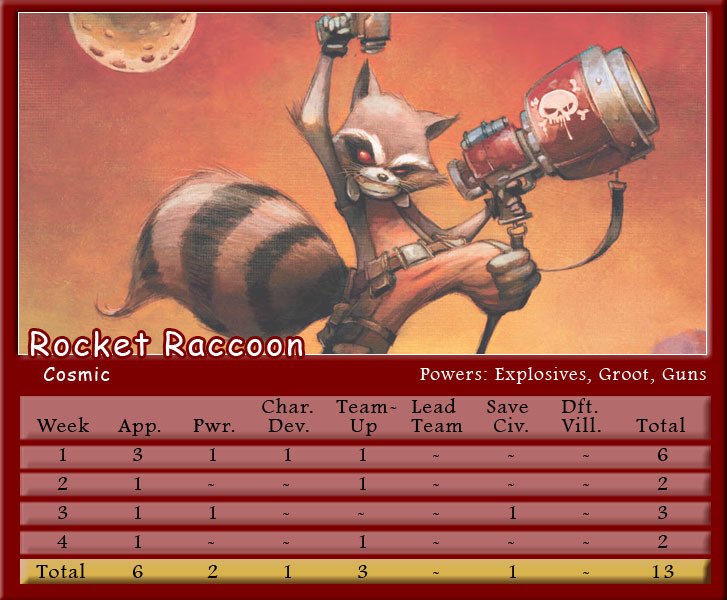 So that is at least one victory for Johnny and his team. 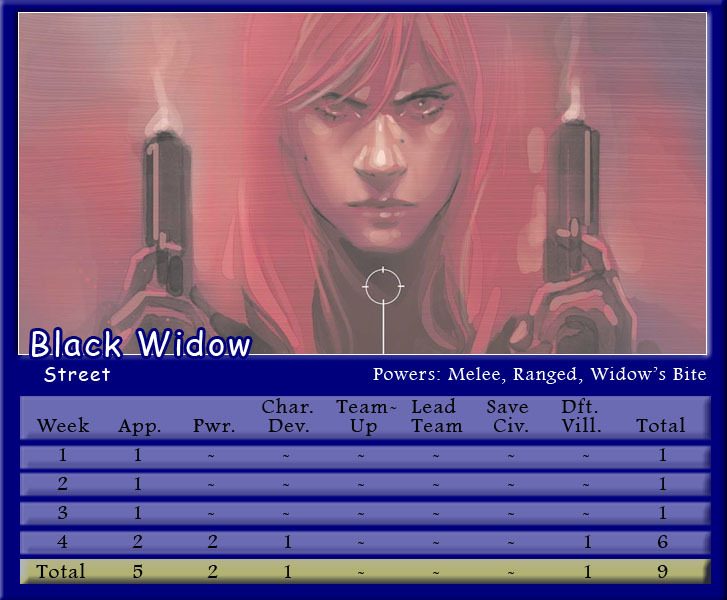 Make sure to follow along with Podcast Episode 52 – There Can Be Only Forty-Five for a full breakdown of points. 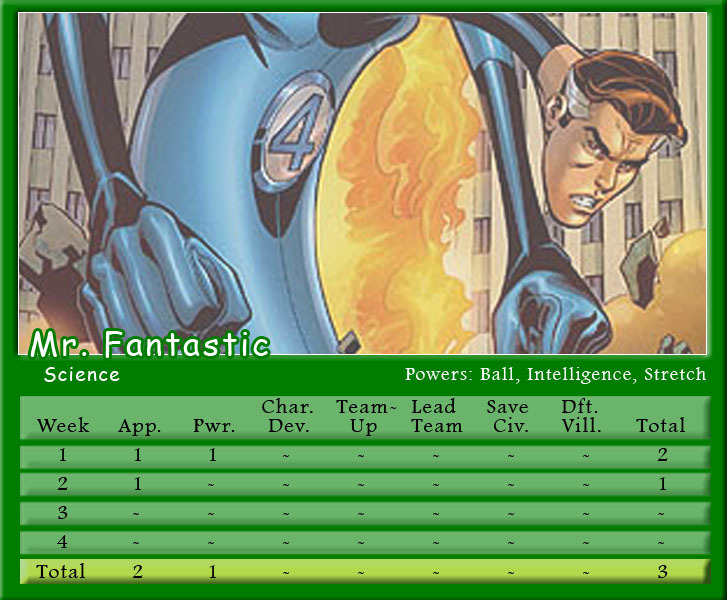 Final Score – Brian, 7 pts; Shaun, 6 pts; Johnny, 2 pts. 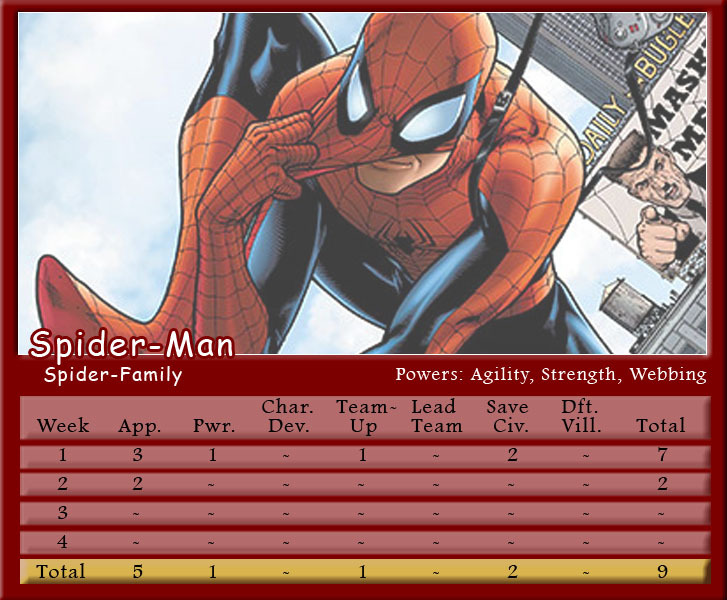 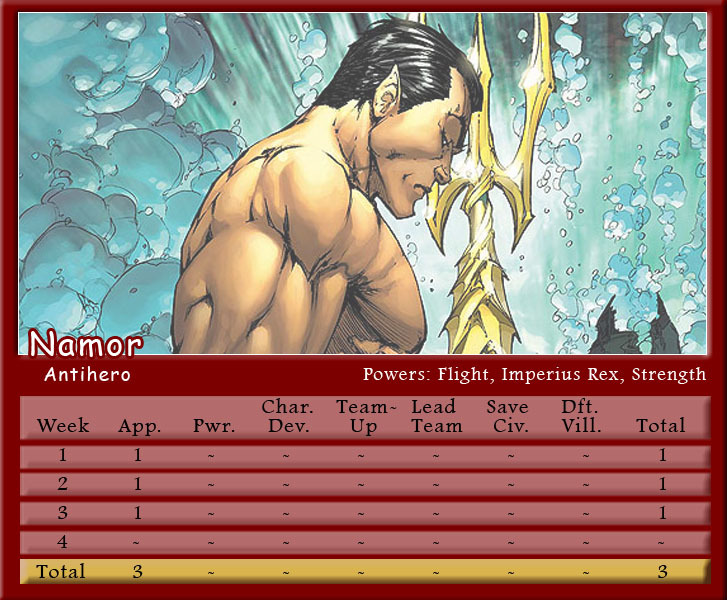 The new season of the Fantasy Comic League will begin with the start of the All-New, All-Different Marvel in October 2015. 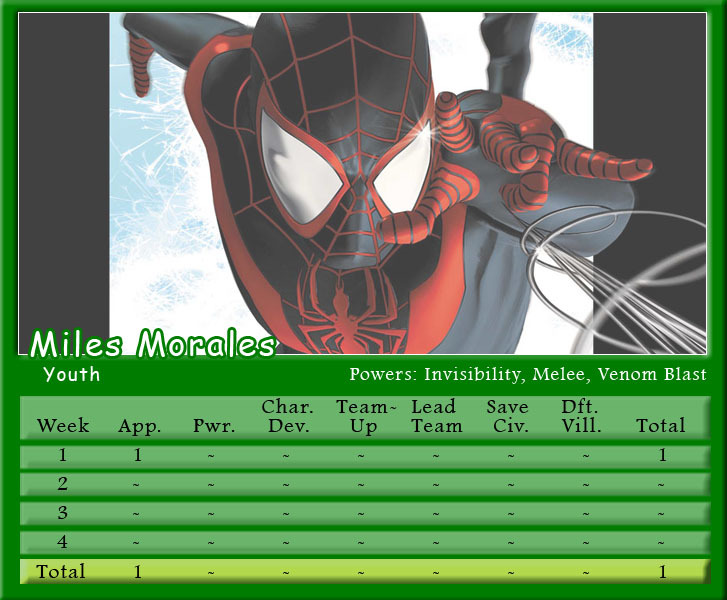 Reblogged this on The SicklyGazelle Blog.